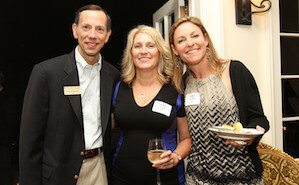 Look behind any activity at Emory Law and you will see the Law School Fund for Excellence at work. Emory Law's success depends on your vision and generosity. We appreciate your engagement in both short interactions and more extensive involvement with a program or student organization. Your gift makes a difference for future generations of Emory lawyers. Your gift means the world. An Emory Law education ensures our graduates are prepared to enter the workforce and make an immediate impact—whether that is in a law firm, in government, in public interest, or in the corporate world. From Trial Techniques and TI:GER to our Transactional Law Certificate Program and Externship Program, our students have the benefits of outstanding classroom instruction coupled with experiential learning opportunities. This new economic climate presents challenges to both our alumni and our students. It calls upon us to rethink normal ways of doing business and look for new and creative opportunities. For our students, this means ensuring their future in the legal profession is sound; it means making an Emory Law education more affordable so they can be free to pursue all career options available to them. Through the generous support of our alumni and friends, we have worked hard to increase our tuition discount rate to be more in line with our peer institutions. These are unique times. With your continued support, we can make a difference for future generations of Emory lawyers. There are many ways to make your gift to Emory Law. Contact the Advancement and Alumni Engagement team if you have any questions about the flexible giving opportunities below. Emory Law's development staff members would be delighted to discuss your giving options or take your gift over the phone. To make your gift via phone, please call Brandon Brown, Assistant Director of Advancement at 404.727.6232. You can support Emory Law without ever writing another check. Through Electronic Funds Transfer (EFT), you can spread the cost of your support over the course of a year by authorizing your bank to transfer to Emory Law a monthly, predetermined amount. Your account will only be accessed for this purpose and charged the amount you have chosen. All personal information will be held in the strictest confidence. Emory's Controller's Office can help you make a gift of mutual fund shares, closely held stock, or other forms of stock. You can complete the linked form to transfer your gift to Emory. Call 404.727.2847 or e-mail stockgifts@emory.edu for more information. This professorship for a scholar with a demonstrated desire to promote the rule of law through the study of civil rights. 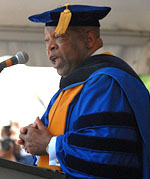 To contribute to this fund, go to the Emory Online Giving and enter John Lewis Chair in the Specific Designation field.